Name of Sanctuary / National Park District Divisional Headquarters Area in Sq. Kms. Dr. D. Ering memorial Wildlife Sanctuary East Siang Pasighat 190.00 Hogdeer, Hispid Hare, Bengal florican, raptors and migratory water birds. 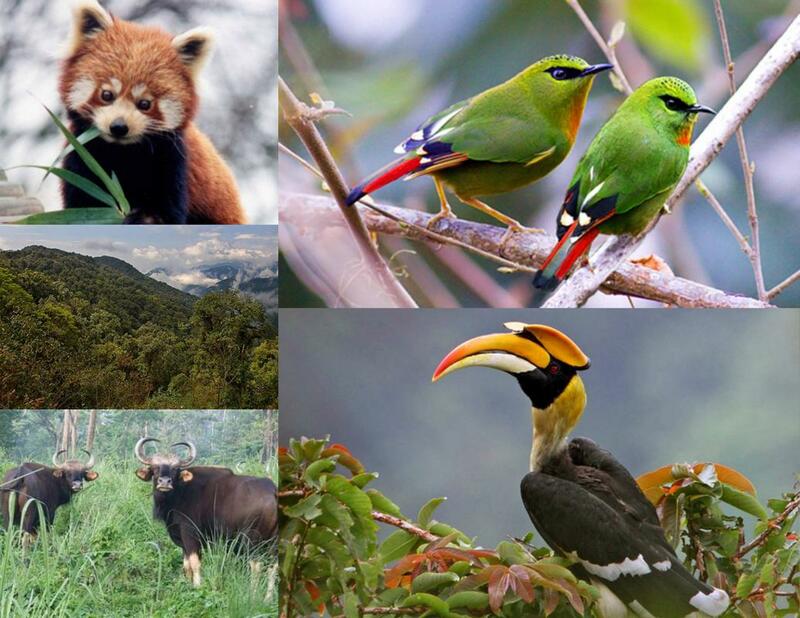 Mehao Wildlife Sanctuary Dibang Valley Lohit Roing 281.50 Hoolock Gibbon, Tiger, Leopard, red Panda, Elephant, Tiger, etc. Kamlang Wildlife Sanctuary Lohit Miao 783.00 Hoolock Gibbon, Tiger, Leopard, capped Langur, red Panda, Himalayan Black bear. Namdhapa National Park (Tiger Project) Tirap Miao 1985.23 Hoolock Gibbon, Capped Langur, Red Panda, Takin, Musk deer, Tiger, Leopard, Snow-leopard, Clouded leopard, rare birds, etc. Mouling national Park East Siang Jengging 483.00 Takin. Serow, Goral, Clouded Leopard, Black bear, Leopard, red Panda, Pheasants, etc. Sessa Orchid Sanctuary West Kameng Tipi 100.00 Varieties of Orchids, Red Panda, Pheasants, Serow, Goral, Etc.